A Rave: Christmas note #2 — Leave a part of you behind in every place you love. I read about this story a few months ago. A person — we know now she’s a woman — has been leaving behind lovely paper sculptures in libraries around Scotland. I hope you enjoy it and are inspired to consider what you leave behind in the places you visit each day. It would be nice if it was at least a smile, don’t you think? 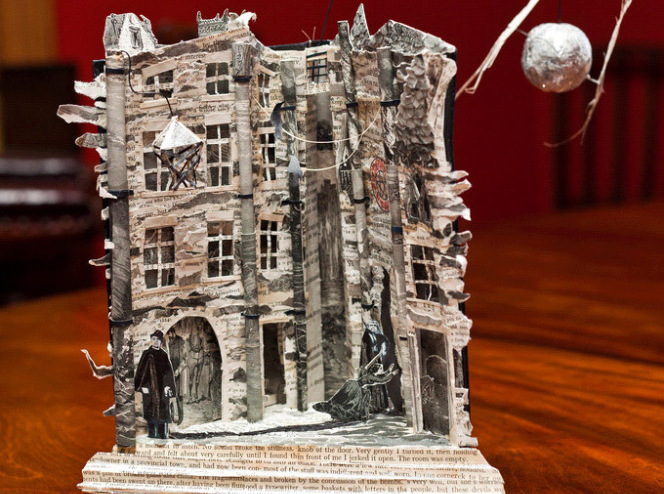 This entry was posted in Rave and tagged Christmas, libraries, paper sculpture, Scotland. Bookmark the permalink.